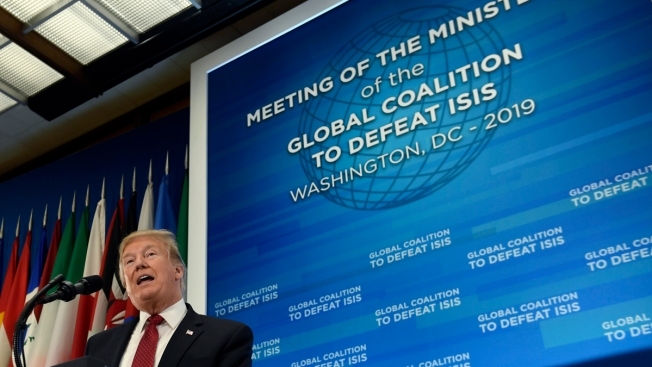 President Donald Trump speaks at the Global Coalition to Defeat ISIS meeting at the State Department in Washington, Wednesday, Feb. 6, 2019. U.S. officials have said in recent weeks that ISIS has lost 99.5 percent of its territory and is holding on to fewer than 5 square kilometers in Syria, or less than 2 square miles, in the villages of the Middle Euphrates River Valley, where the bulk of the fighters are concentrated. Pompeo called on the coalition to increase intelligence-sharing, repatriate and prosecute captured foreign fighters and accelerate stabilization efforts so ISIS remnants cannot reconstitute in Iraq, Syria or elsewhere. He said the fight is entering a new stage where those allied against ISIS must confront a "decentralized jihad" with more than military force. Activists who closely follow the conflict in Syria point to signs of a growing insurgency. Rami Abdurrahman, the head of the Britain-based Syrian Observatory for Human Rights, says ISIS still has 4,000 to 5,000 fighters, many likely hiding out in desert caves and mountains. A United Nations report circulated Wednesday said Islamic State extremists "continue to pose the main and best-resourced international terrorist threat." 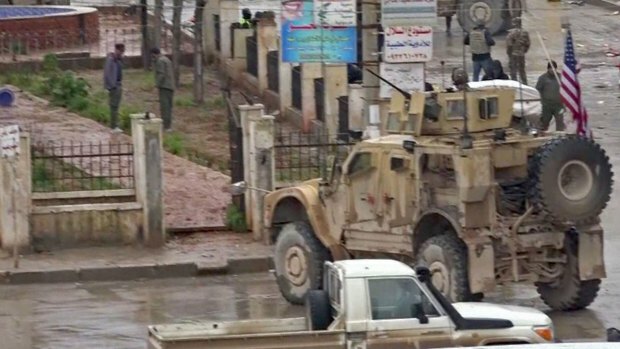 It said ISIS fighters remain under "intense military pressure" in their stronghold in eastern Syria, but they have "shown a determination to resist and the capability to counter-attack." 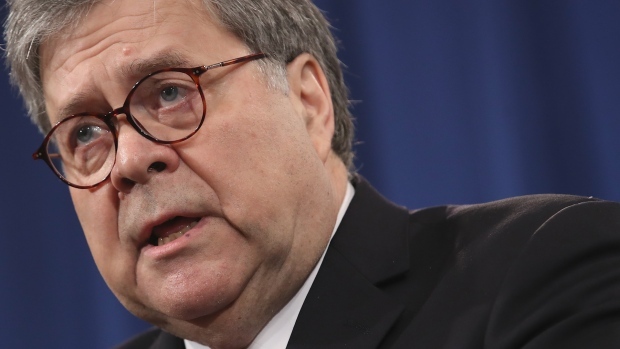 A Defense Department watchdog report warned this week that even with the ISIS forces on the run, the group "is still able to coordinate offensives and counter-offensives, as well as operate as a decentralized insurgency."